I was born in Montevideo, Uruguay and it was 15 years ago when the road and the passion towards the practice of Yoga started. Whilst still in Uruguay I took a course of Raja Yoga Instructor and in 2006 I decided to change my residence to Barcelona. In 2012 I went to India to further deepen my teaching skills. I enrolled the Hatha Yoga Training School, Patanjali International Yoga Foundation with Hatha Yoga master, Jitendra Das in Rishikesh. Dance has always been an inspiration in my life, venturing from my early youth in the practice of contemporary, African, salsa and Arabic dance among others. Thus, my blessing meeting Shakti Dance, which is a sacred dance that has its roots in Kundalini Yoga.The practice of Shakti dance is based on harmonic motion linked to breathing. In 2014 I decided to certify in Shakti Dance with Sara Avtar. 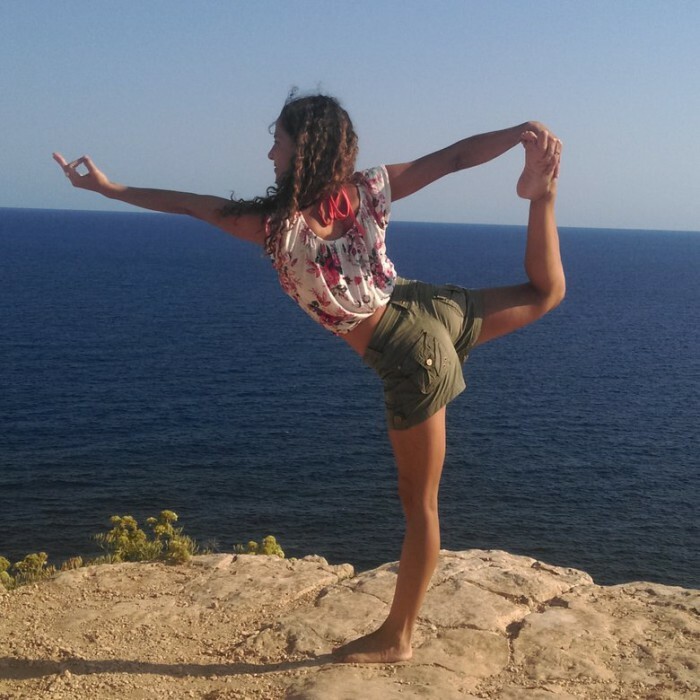 Currently I offer classes in both disciplines, Hatha Vinyasa and Shakti Dance , that although different, they have the same goal; being more aware and healthy, to help live in harmony with ourselves and with everything around us.